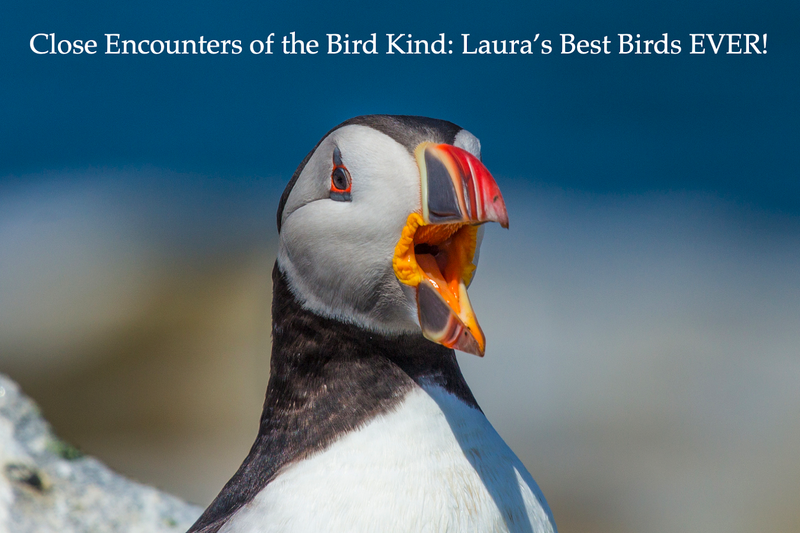 On September 24, I got a phone call from a neighbor down the block saying that she had a funny looking bird—she thought it looked like a tiny quail—in her yard. 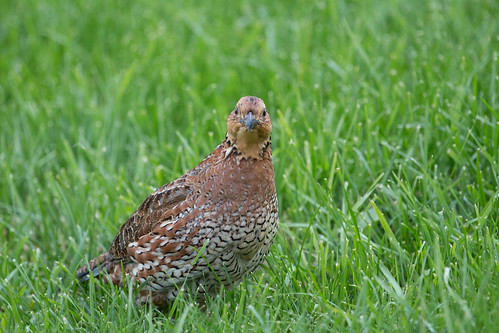 I charged right over, and sure enough, a female bobwhite was walking around her lawn, eating grass seeds and being pretty calm around us. 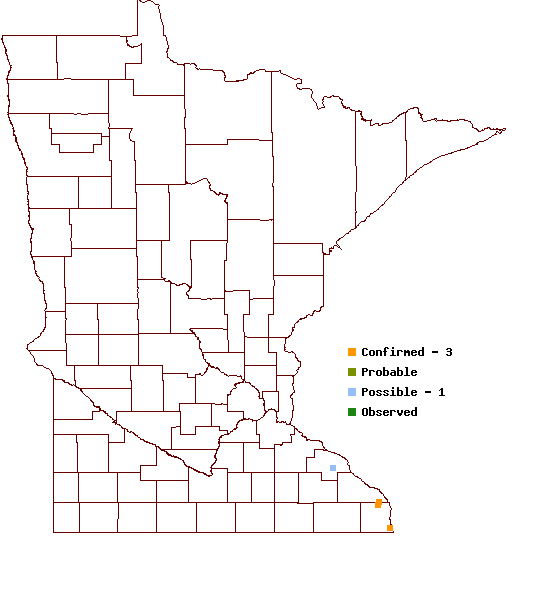 The Minnesota Breeding Bird Atlas shows only three tiny blocks where Northern Bobwhite are probably or definitely breeding, all in the extreme southeastern part of the state near the Mississippi River and Wisconsin border. Between genuinely wild birds and constant releases of pen-raised birds, they were abundant enough that hunters harvested 13,000 in 1927. Ring-necked Pheasants were introduced to Minnesota in 1905, and hunting seasons on pheasants first opened in 1924. 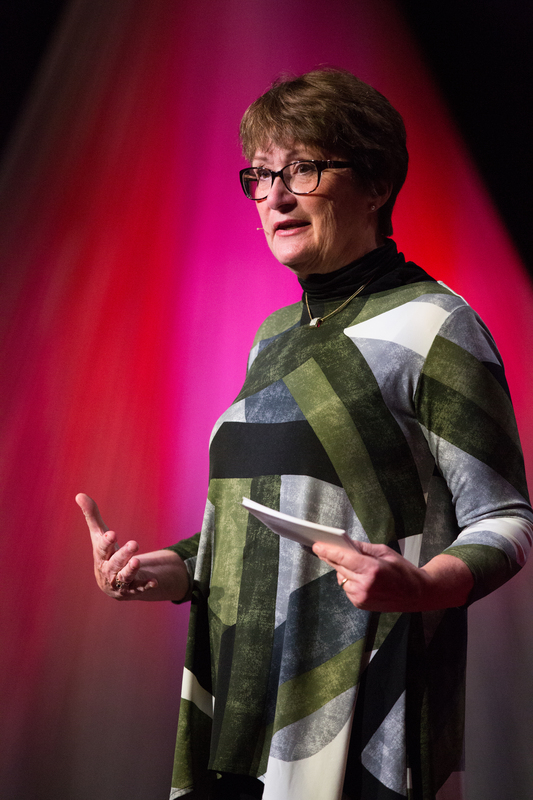 As that species reached its peak population during the 40s and 50s, the mass of hunters lost interest in the tinier, less hardy quail, and the DNR stopped augmenting the population in 1952; quail hunting in Minnesota ended in 1958. 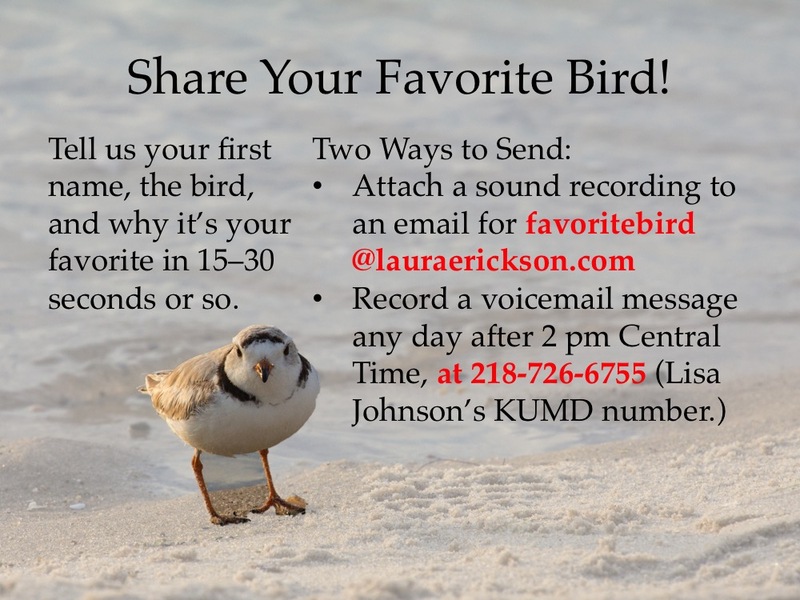 An organization called Minnesota Quail Forever works hard to keep track of them and raise awareness of this lovely species’ plight. 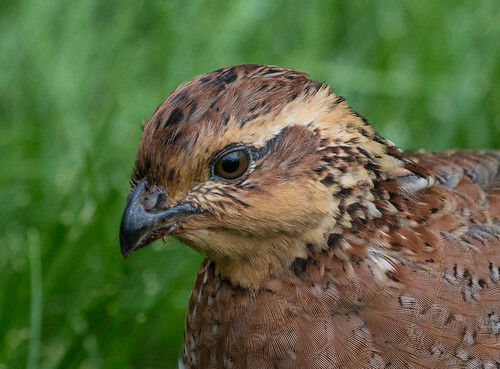 According to their website, it’s estimated that no more than 1,000 bobwhites live in Minnesota today, all in Houston, Fillmore, and Winona Counties. I saw Northern Bobwhite quite a few times in 1975 during my first year of birding, when I took a field ornithology class at the Kellogg Biological Station near Kalamazoo, Michigan, and on and off since then, but in the places where I used to see them most, in some refuges and parks in Florida, they are few and far between now. 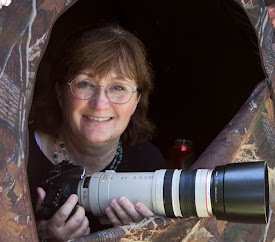 I took one of Kim Eckert’s Minnesota Birding Week trips to Texas for my Conservation Big Year, and we saw a couple of good sized groups. 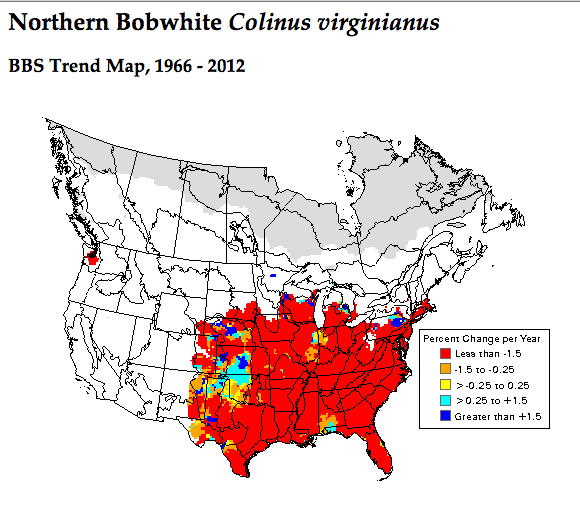 Throughout the United States, bobwhites are doing poorly. 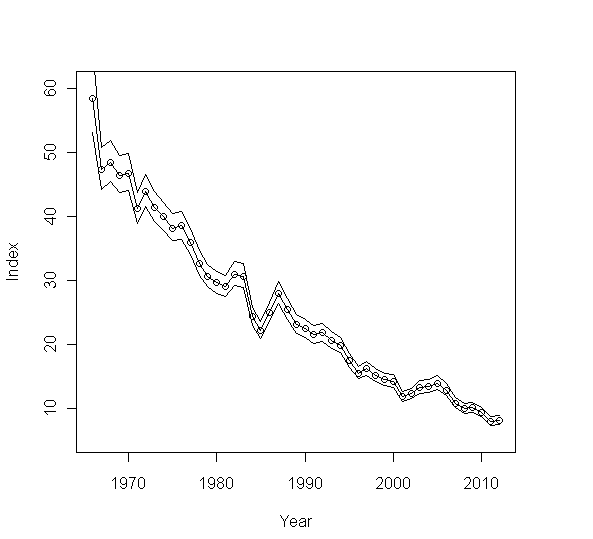 They’re one of the most rapidly declining but formerly common species, showing precipitous declines throughout their range. 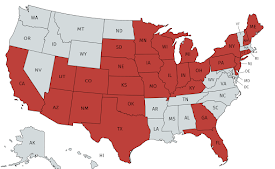 Breeding Bird Survey trend map showing in red where Northern Bobwhite are declining most rapidly. If bobwhites are in so much trouble, what the heck was one doing on Peabody Street, so very far from where they ever lived? 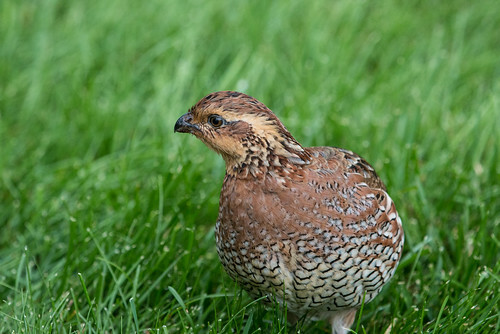 Bobwhites are raised in captivity as food for zoo animals and captive raptors, and for training retrievers and in field trials. 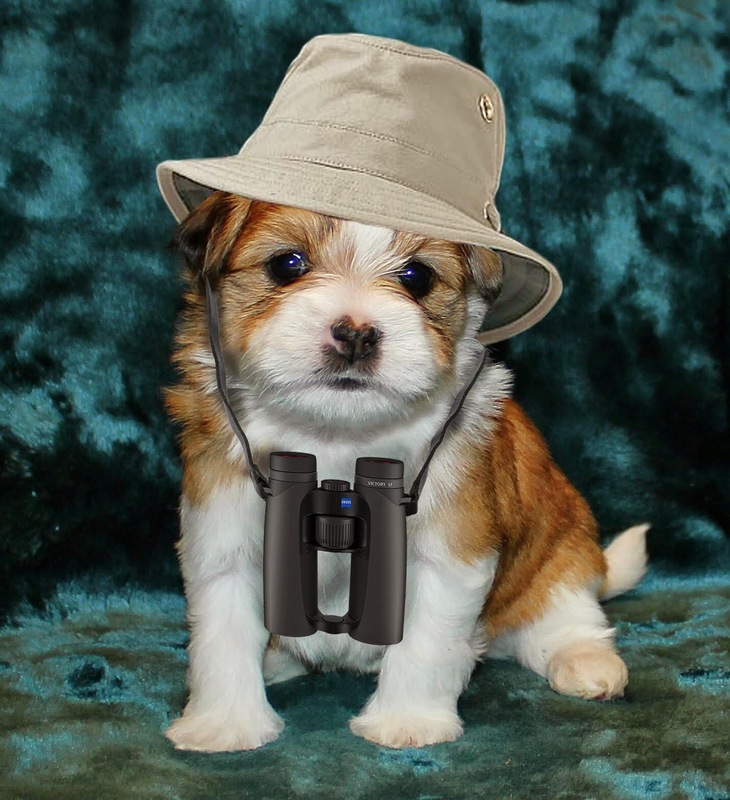 The Duluth Retriever Club had a big Labor Day Weekend Field Trial, on Lester River Road not too far from my neighborhood—I think the poor little thing broke free, but now unless someone takes her in, she’s pretty much doomed. 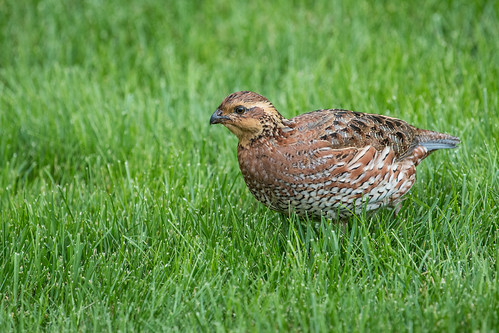 A few years ago, bobwhites apparently staged their version of the Great Escape from one of these events, and suddenly they were being found in lots of neighborhoods. This female is the only one I’ve heard of this year. 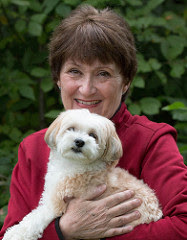 I watched her wandering through the well-manicured lawn for twenty minutes or so, and I took photo after photo. The light wasn’t great, but she was close enough to give me not just a lot of cool shots but the best photos of female bobwhite I’d ever taken. Unfortunately, she wasn't close enough to actually catch her. 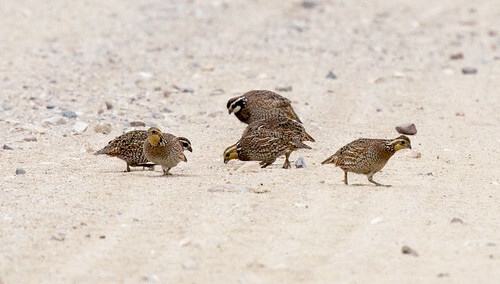 These plucky little birds appeal to something deep within me, so I’m filled with joy whether I’m seeing wild ones on their natural range or one intrepid escape artist hundreds of miles north of where any bobwhite should be. It’s hard for me to reconcile bobwhite being a game species, but anyone who lives right under Hawk Ridge has to be a little understanding about predation of all kinds. I’ll keep my fingers crossed that this little girl finds a helping hand somewhere.